(Kapoor tulsi) Native of East Africa with a strong camphor odour. Used to alleviate stomach ache, diarrhea and for colds and cough. It is also used in India to treat ulcers and wounds. It has antioxidant, antimicrobial, antimalarial, antifungal, insecticidal and wound healing properties. 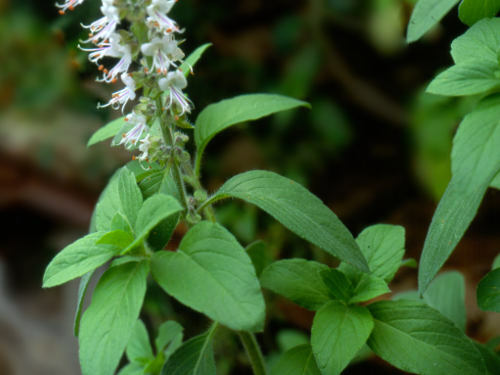 This is the true kapoor tulsi that is cultivated and used in India, and is completely different from what is commonly sold in America incorrectly under the same name. Commercial source of camphor. Ht. 1-1.5m/3-5ft.